New Delhi: Former AIIMS director M C Misra has been awarded the honorary fellowship of the prestigious Royal College of Surgeons of Edinburgh, a first for an Indian doctor in the last five years. Set up in 1505, the Royal College is one of the worlds oldest and largest surgical establishments. “It is with great pleasure, we write on behalf of Royal College of Surgeons of Edinburgh to invite you to accept the award of fellowship ad hominem (Honorary fellowship),” stated a letter to Misra by the organisation. The institute has an international network with a membership of around 20,000 in almost 100 countries. Misra, a renowned surgeon, retired on January 31 this year after serving as the director of AIIMS for over three years. Misra also served as the chief of AIIMS Trauma from June 2008. In his 39-month tenure, Mishra contributed to the Apex Medical Sciences University of India. He also led AIIMS delegations to the EAS Round Table Conference on Trauma Care, the World Trauma Congress and the 2 AIIMS-FAM conferences in New Delhi and Paris. He is credited with the creation of the new departments of Rheumatology and Burns and Plastic Surgery. He also played a significant role in the Digital AIIMS project. It must be sad news because getting a degree of RCS Ed and worst it be honorary. must be regarded as sign of slave mentality and false sense of inferiority in youngsters. It will only boost young generation to clamour for such institutions who use our graduates only 4 their menial clerical jobs and humiliate them. India must learn to look within than without and develop a sense of national pride. Only then, India can hope to develop. 1) that you seem not understand what it is to so honored internationally by a body of medical opinion such as the Royal College of Surgeons. 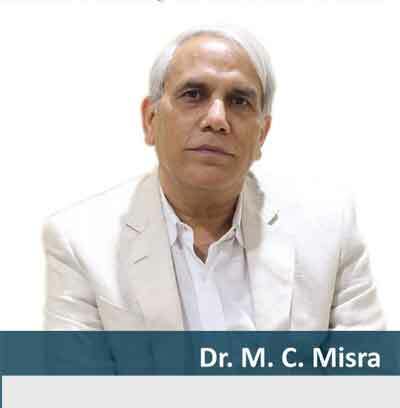 2) that you do not know that Prof M C Misra has such a level of international exposure that anything shot this international acknowledgement of wealth of experience and contribution is not good enough. 3) that your comment is born out of malice and therefore frivolous , vexatious and abuse of freedom of speech.